A large estate collection is up for grabs on auction May 16th and 17th on iCollector.com. Desert West Auction has carefully prepared their auction catalog with over 670 lots spread over two days for live and absentee internet bidding. Both sessions begin at 11AM Mountain time and offer an exceptional collection of quality native and western artwork and collectibles. 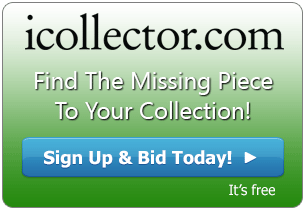 Online viewing and secure registration is available on iCollector.com and all returning bidders are welcome to join online. New accounts can be set up in a moment using an email address or Facebook or Google Plus accounts. This auction features a large estate collection of Mata Ortiz museum quality pottery that is attracting a lot of attention. 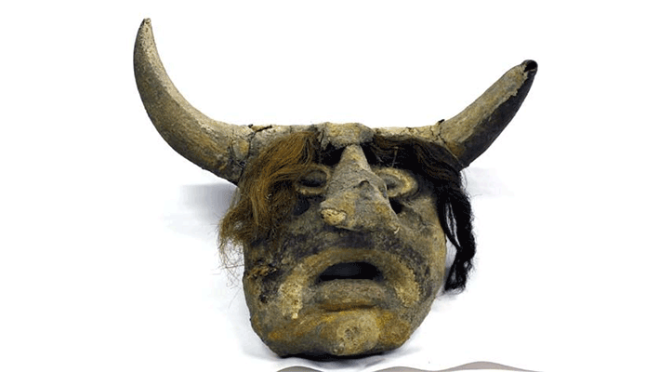 In addition there are many more categories such as Native American jewelry, pottery, kachinas, and rugs. Also, bidders can find in the online catalog beautiful folk art as well as a fabulous selection of baskets. To fill out the sale there is a wide range of estate collectibles and antiques up for auction to the highest bidder. The quality is on display and stands out early at Lot 1408A. This is a Mata Ortiz polychrome wedding vase by Jose Villa. The vase measures 8.5 inches high and is 6 inches in diameter. The design features lizards skittering all about the vase, and this is signed on the bottom by the artist. A few lots later, another outstanding vase is up for grabs at Lot 1442A. This is also a Mata Ortiz polychrome wedding vase, this time by artist Manuel Mora. It has eye dazzling designs on a marbelized clay base signed by the artist on the bottom. The vase is 8 inches high and 5.5 inches in diameter. Both pieces are of museum quality and will be sold at a great value price to the highest bidder. One of the highlights of the second day is a gorgeous Vintage Persian Rug. This is a very large rug measuring 101 inches by 126 inches (not including the fringe). The rug is fading in two places but is in enjoyable condition and will look great in any appropriate setting. This is a special addition from the Proctor Estate from Silver City, New Mexico. A special note is this must be picked up by the winning bidder. The opening bid is only $750 and this is expected to hammer in and around $2000 to $2500. The live broadcast begins at 10AM on both May 16th and 17th, 2015. Bidding is open now for absentee bids, and live bidding is available on all PC, Mac, smartphone, and table. A full audio and video feed will be available on any Mac or PC laptop or computer. iCollector.com and Desert West Auctions are excited to bring this sale to the online marketplace and invite all collectors to view the catalog online.